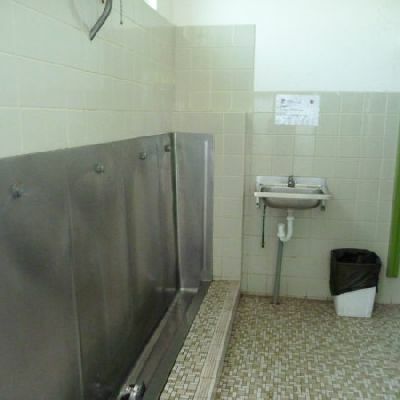 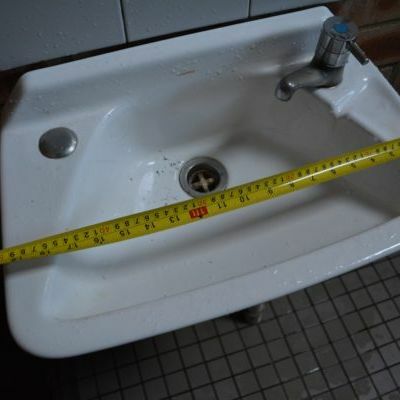 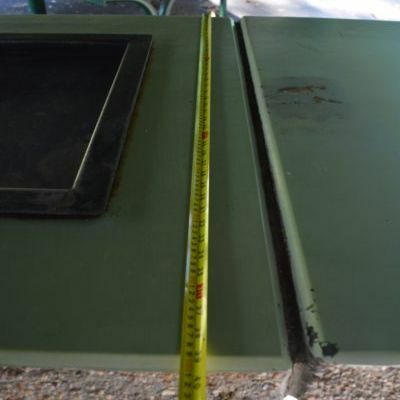 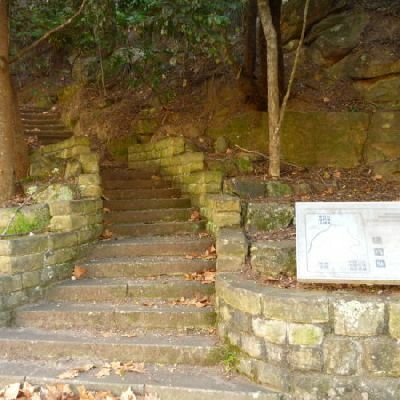 This image is near the South End of Bobbin Head Park. 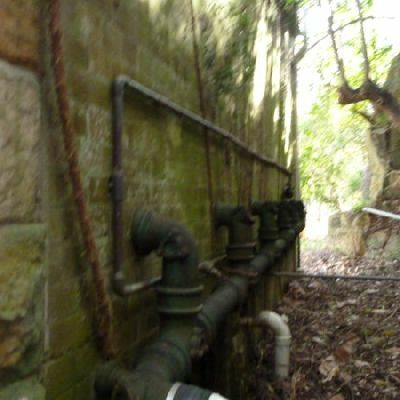 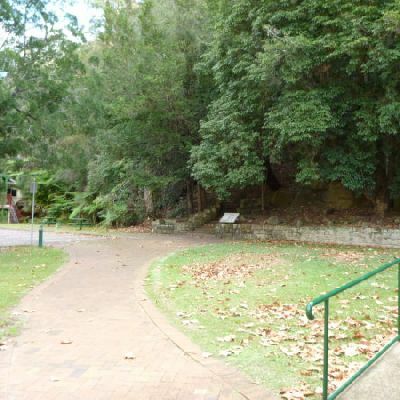 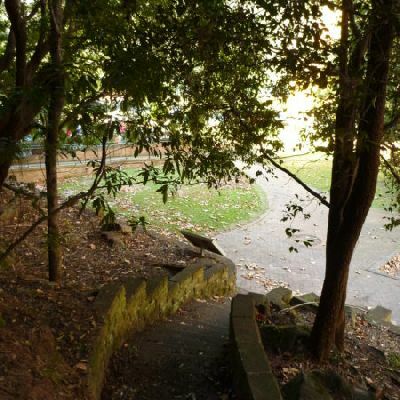 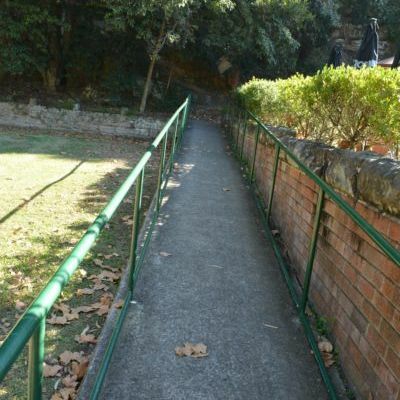 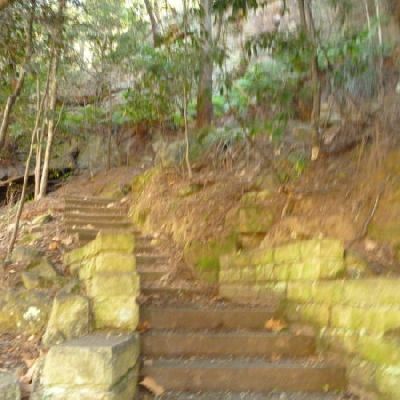 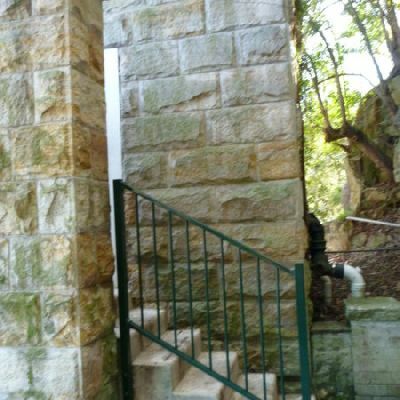 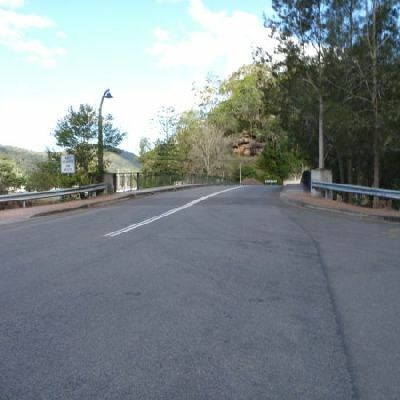 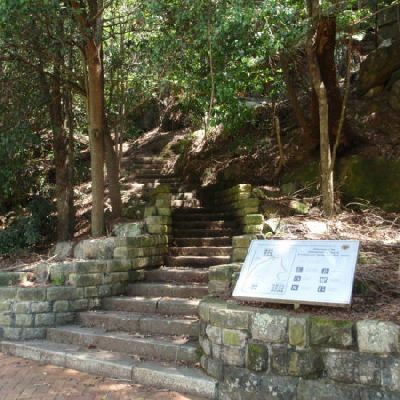 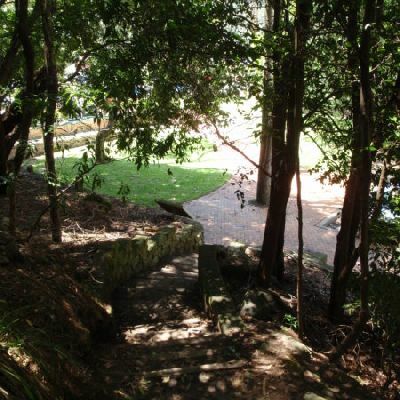 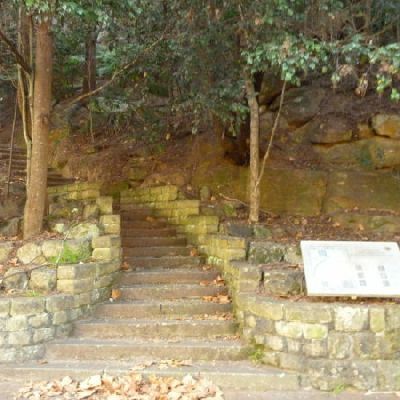 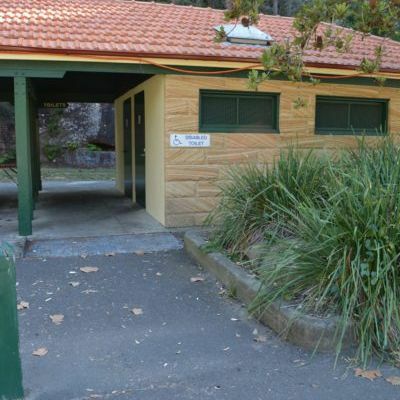 Starting in suburban Wahroonga, this well-maintained track follows Cockle Creek down to Bobbin Head in the Ku-ring-gai Chase National Park. 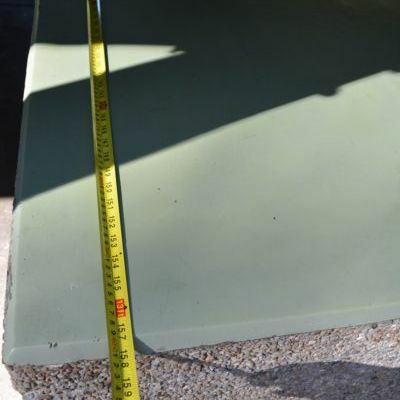 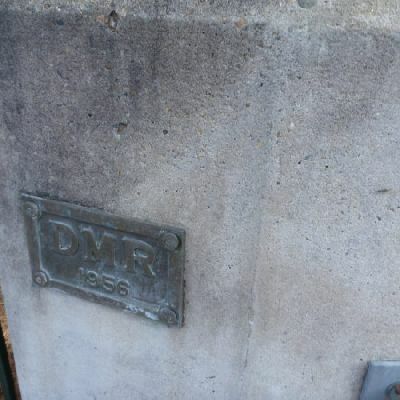 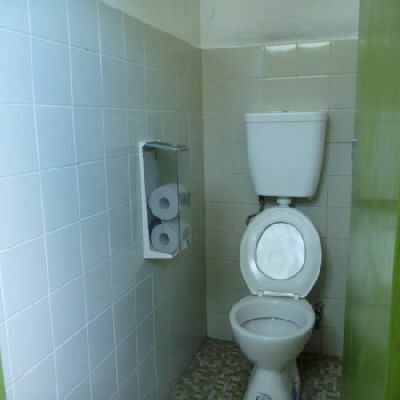 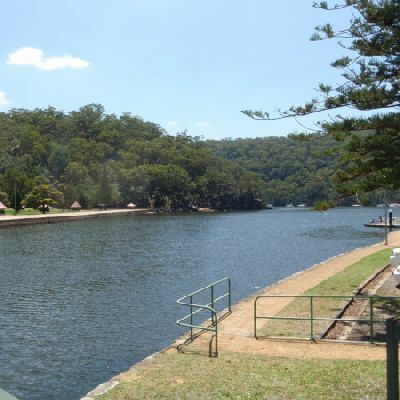 There are a number of great waterviews, and two short side trips to add to this venture. 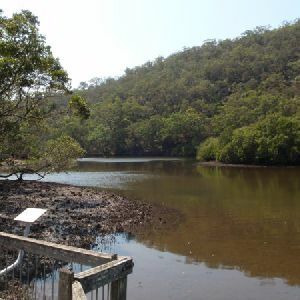 The lower section the walk follows a boardwalk, getting up close to the mangrove wildlife. 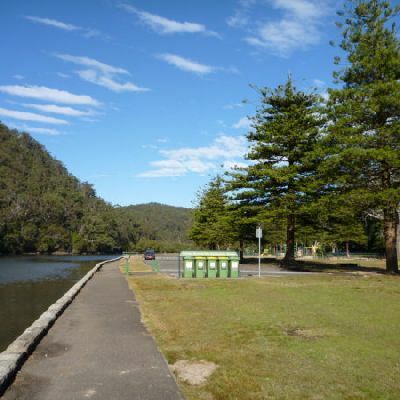 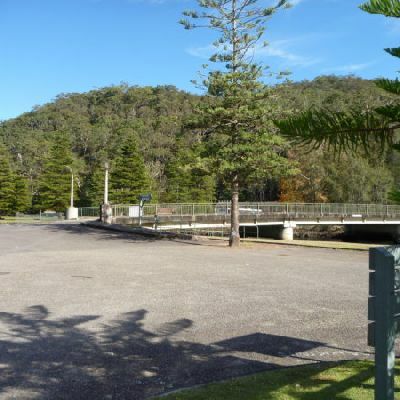 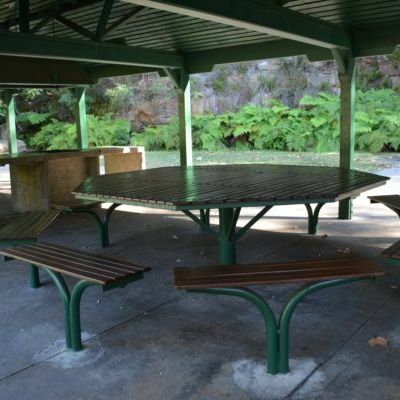 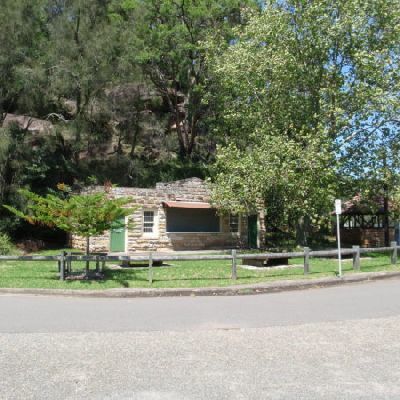 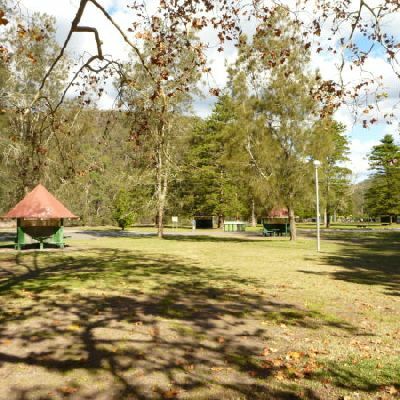 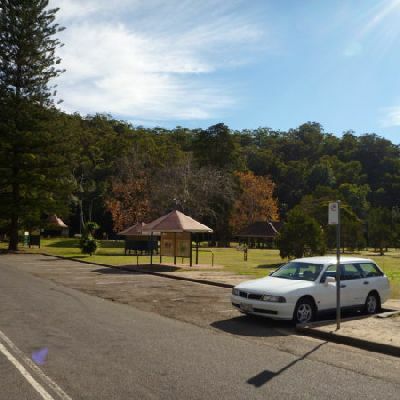 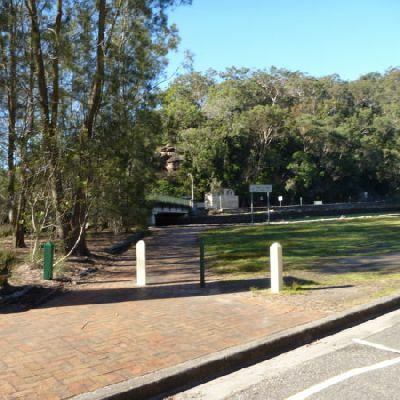 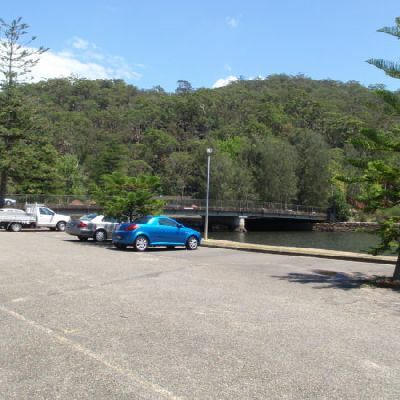 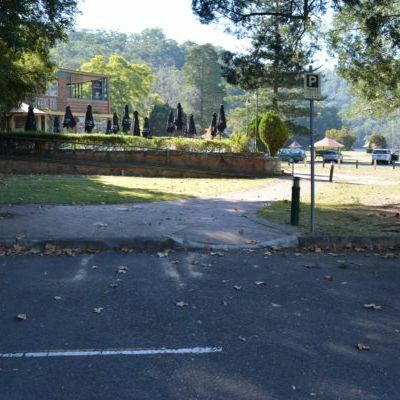 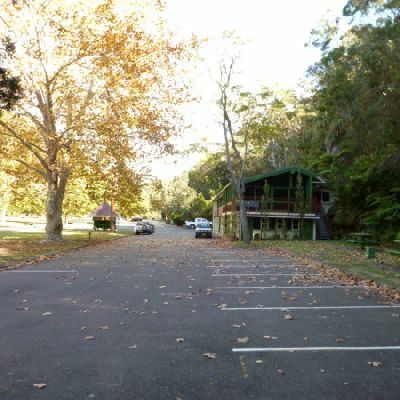 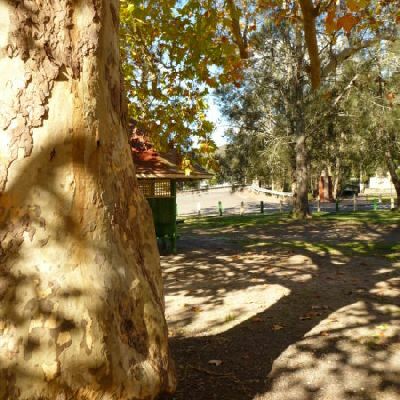 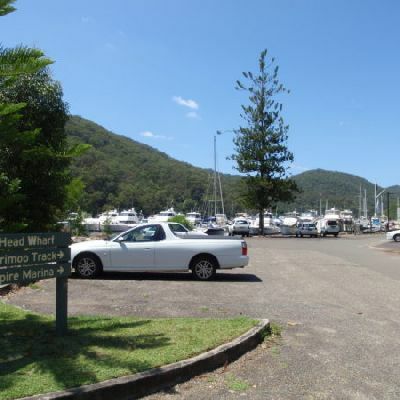 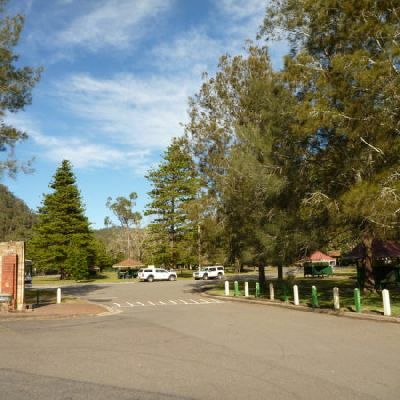 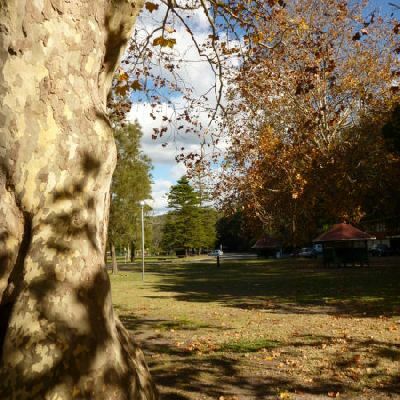 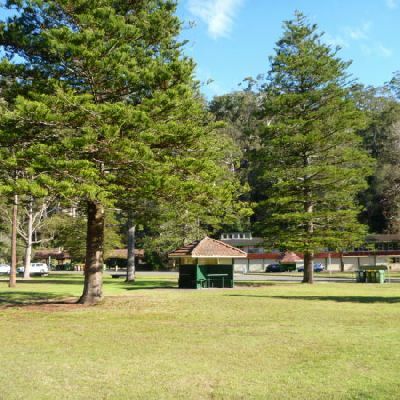 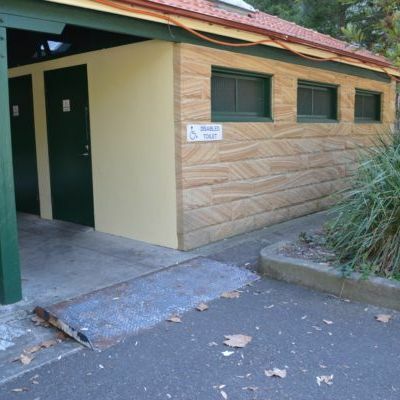 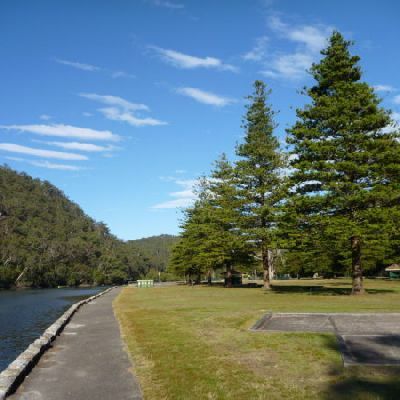 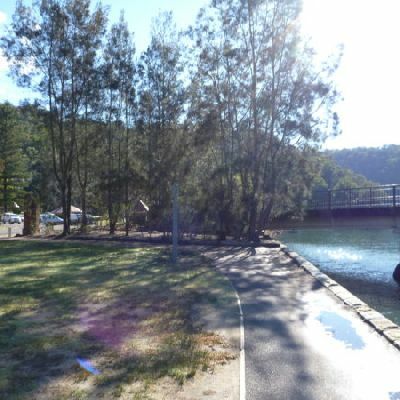 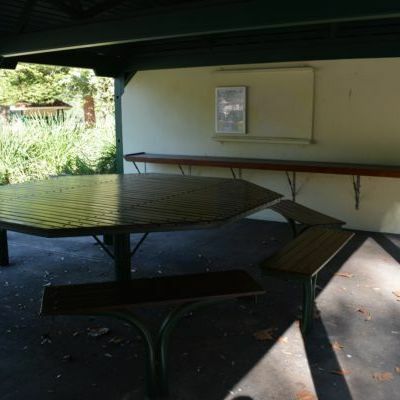 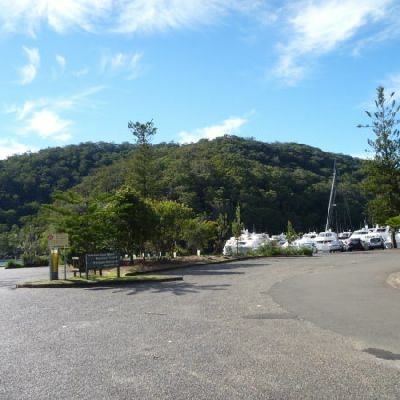 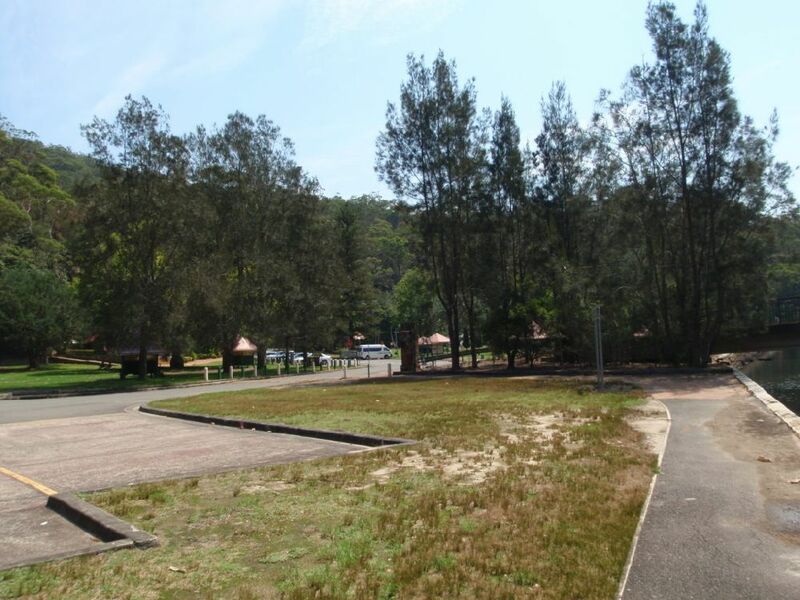 The walk ends at the popular Bobbin Head picnic area and kiosk, giving you the chance to relax and reflect on the journey. 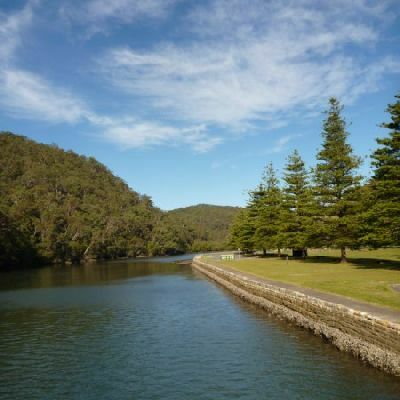 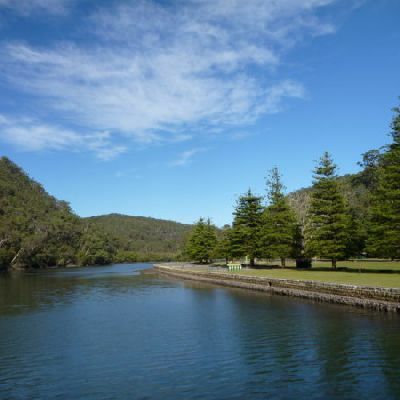 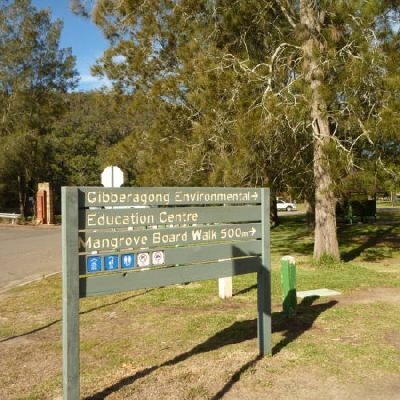 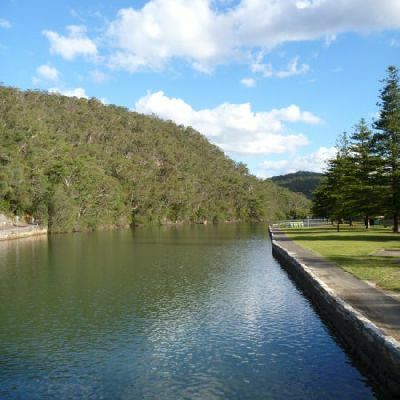 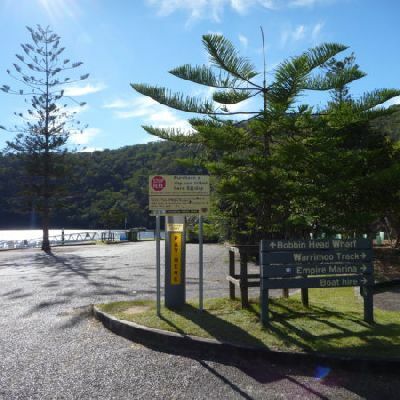 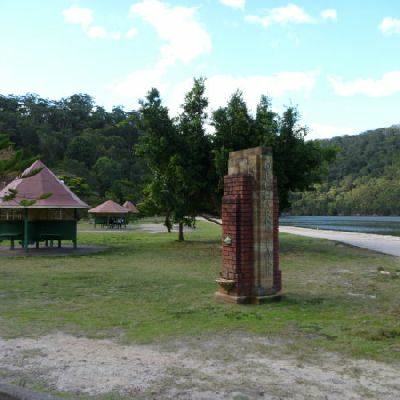 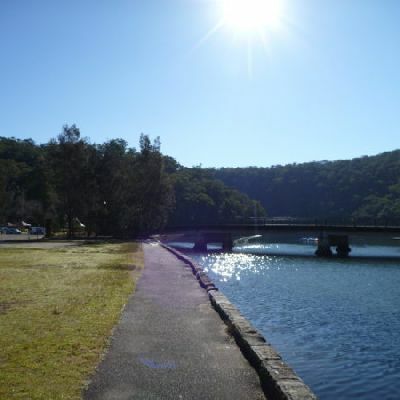 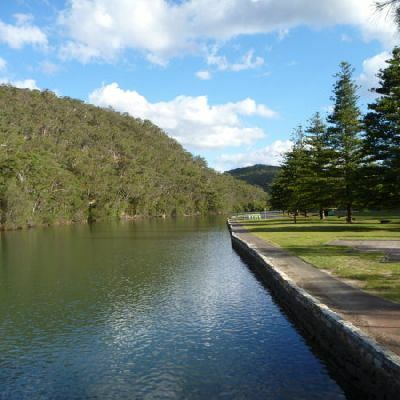 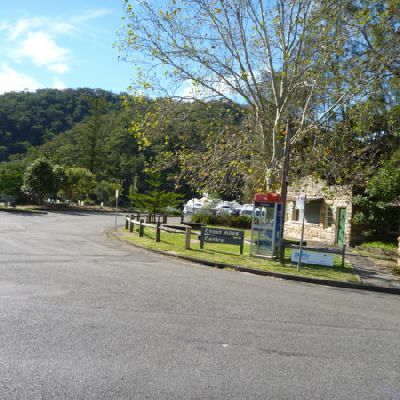 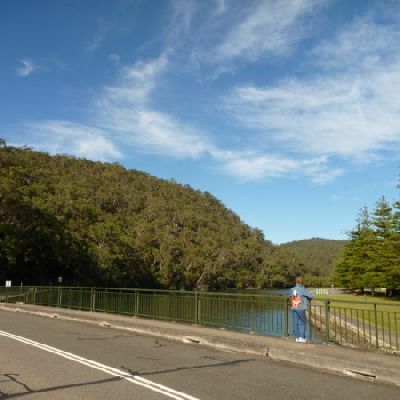 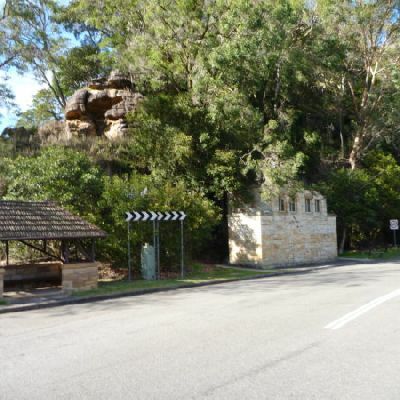 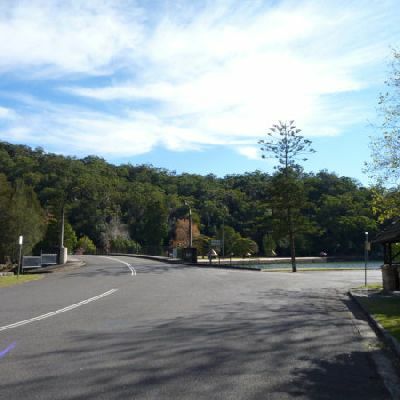 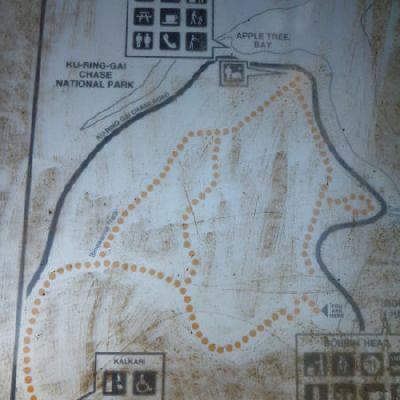 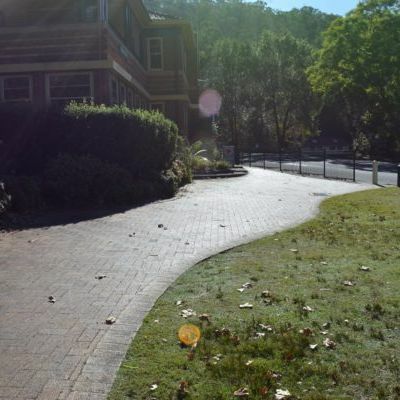 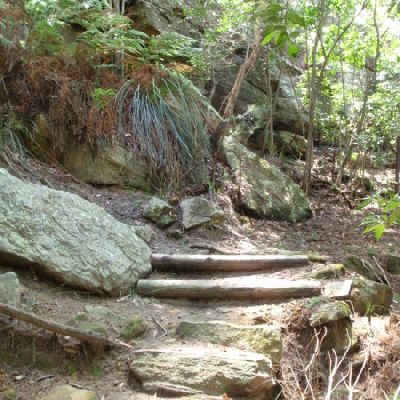 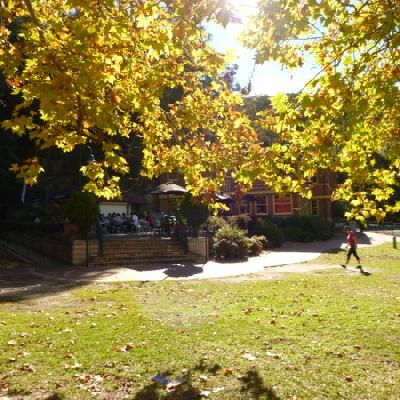 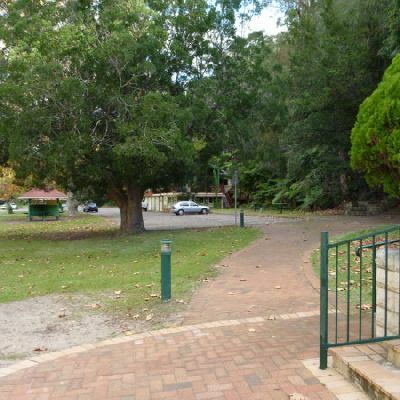 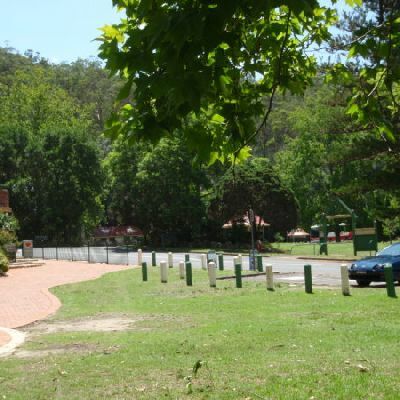 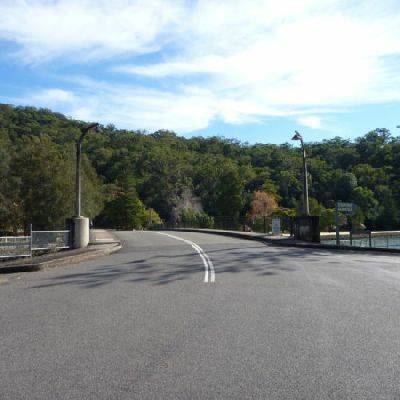 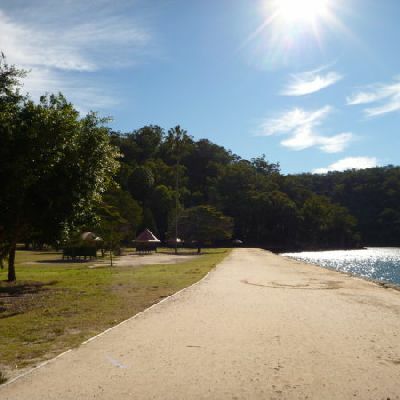 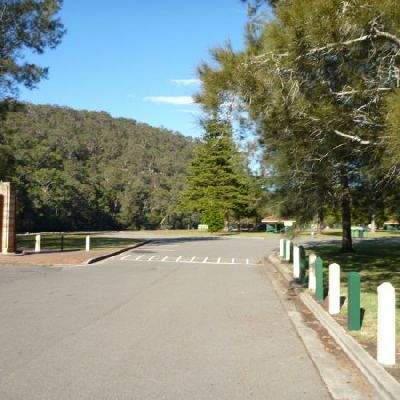 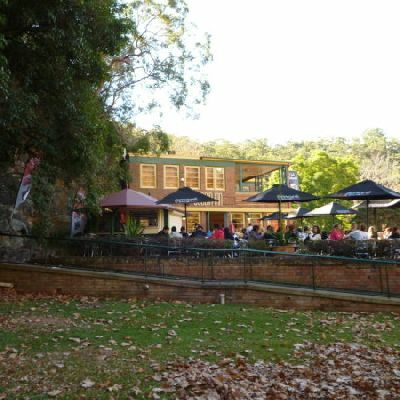 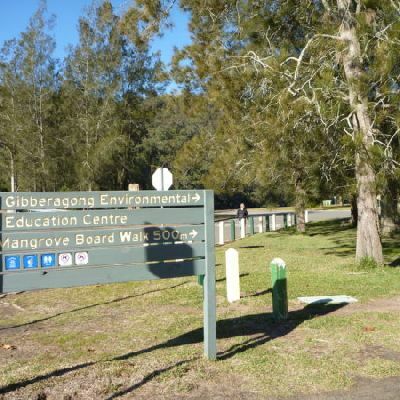 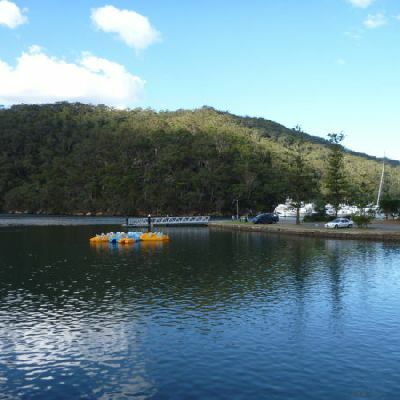 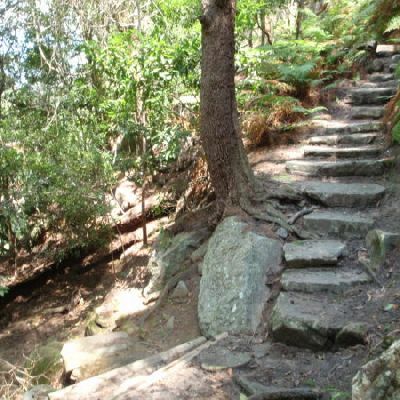 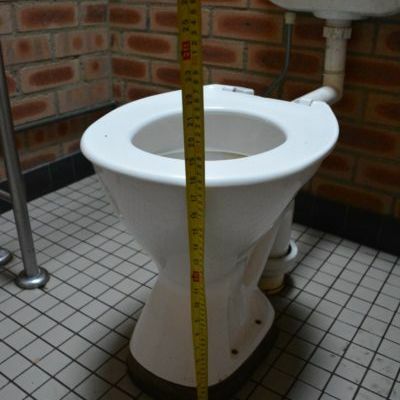 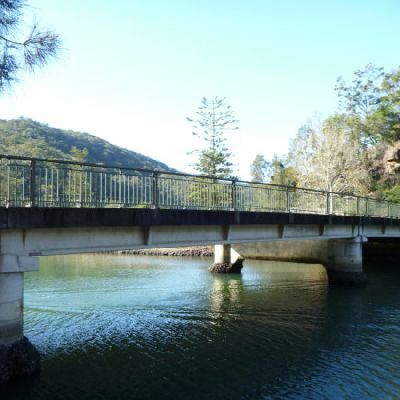 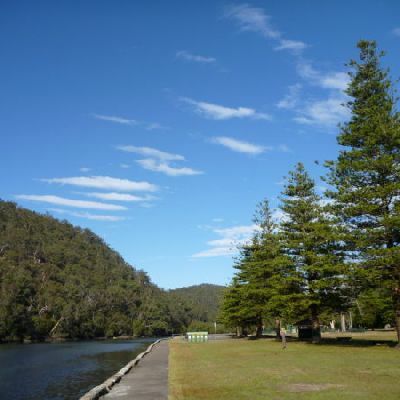 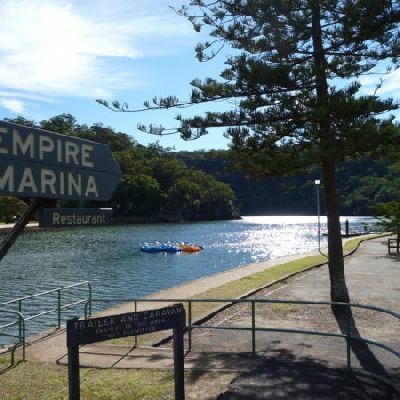 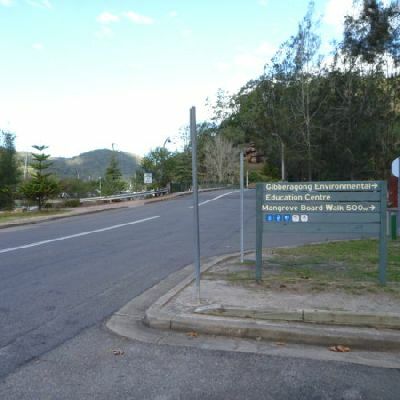 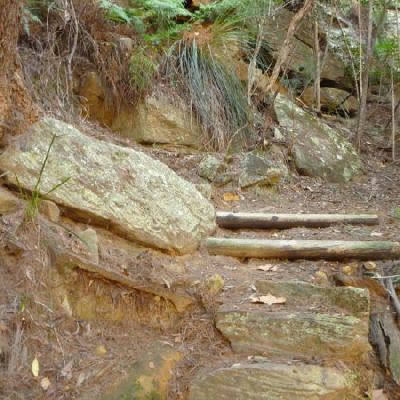 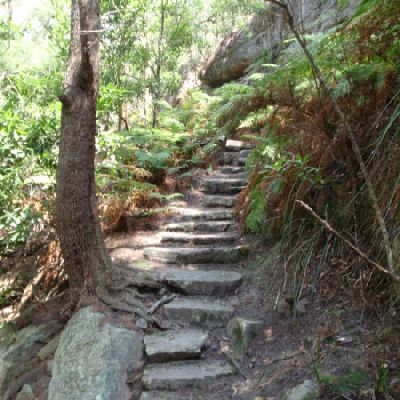 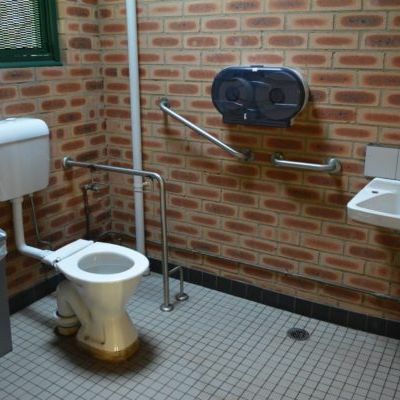 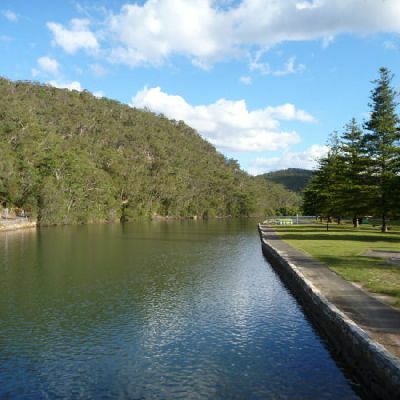 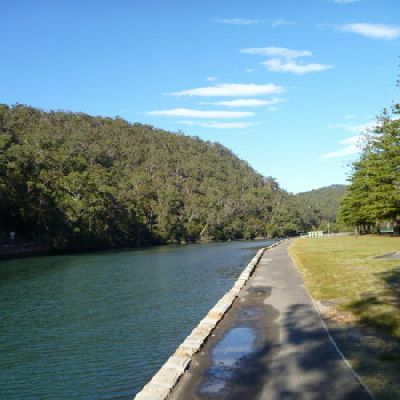 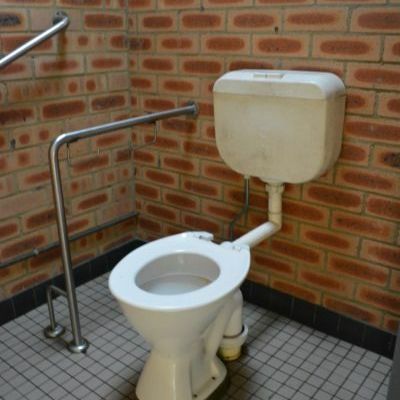 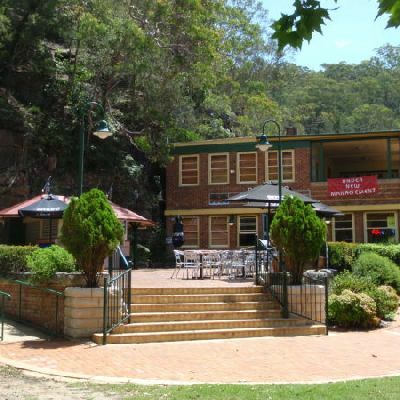 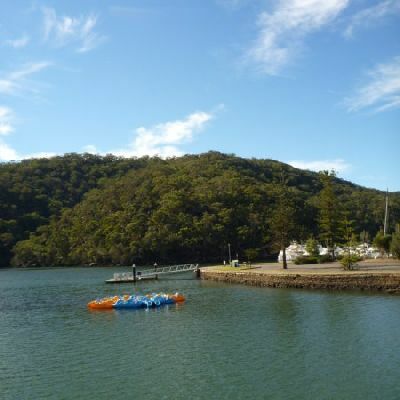 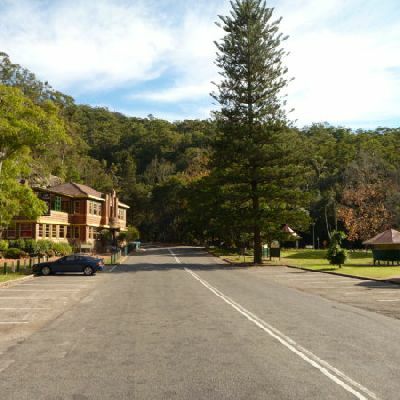 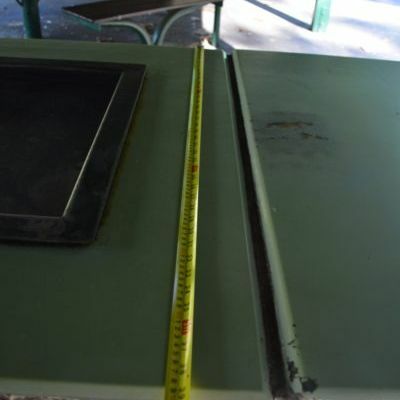 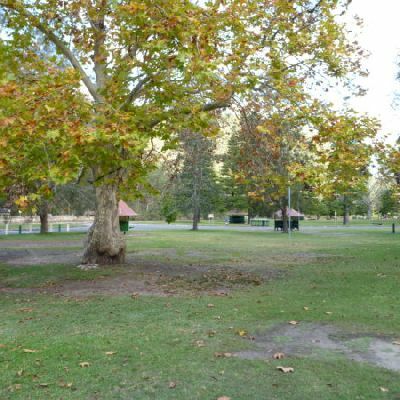 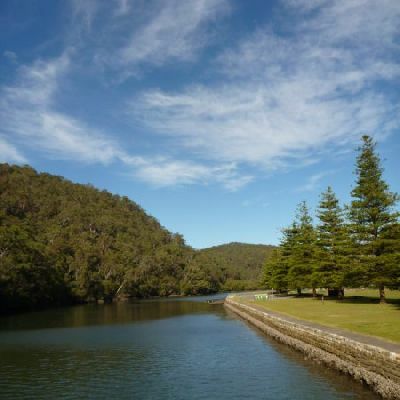 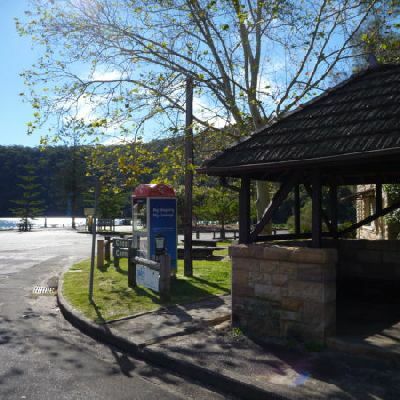 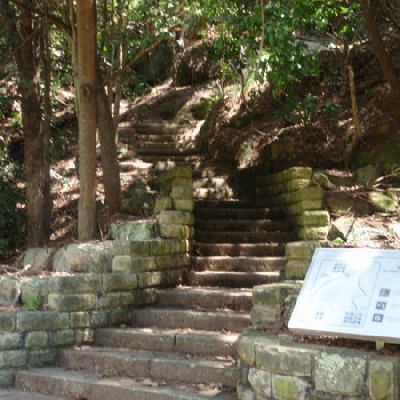 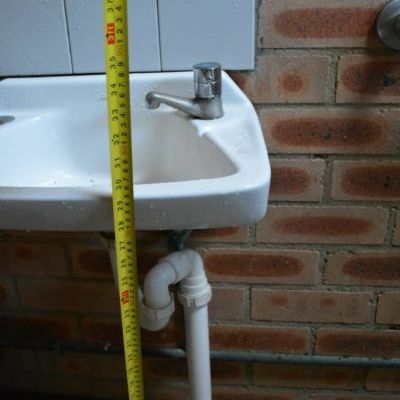 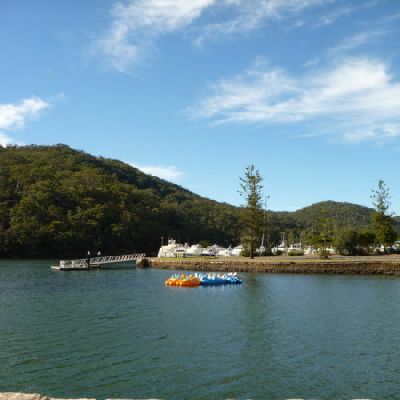 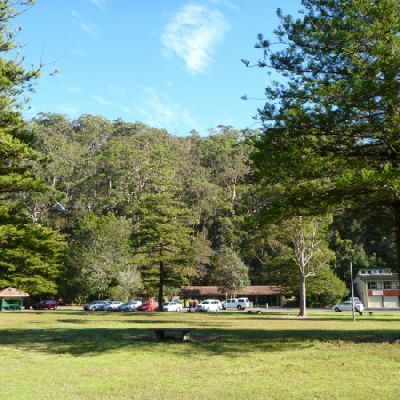 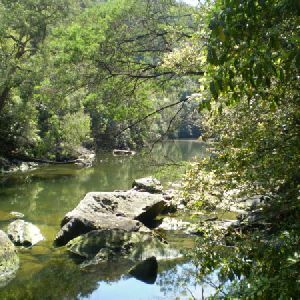 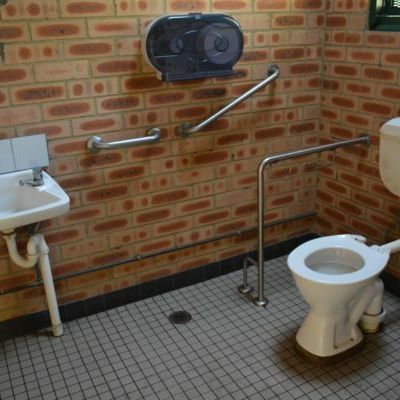 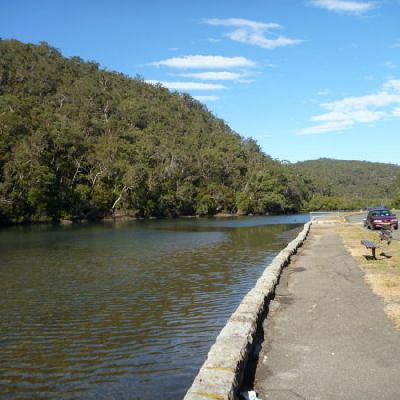 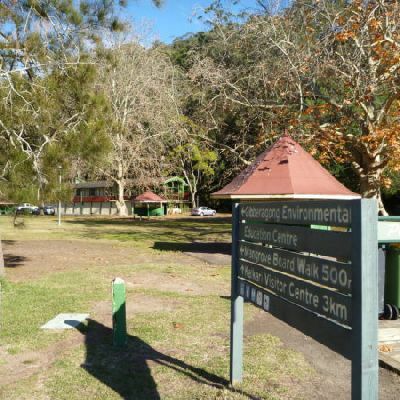 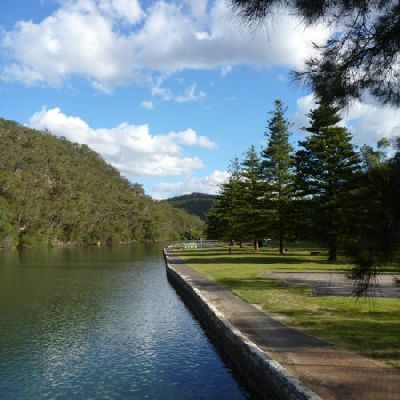 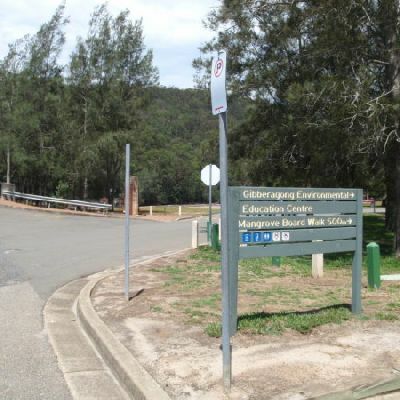 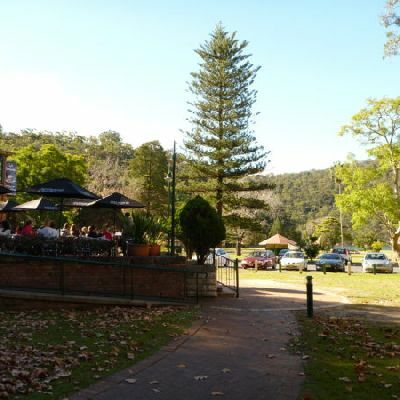 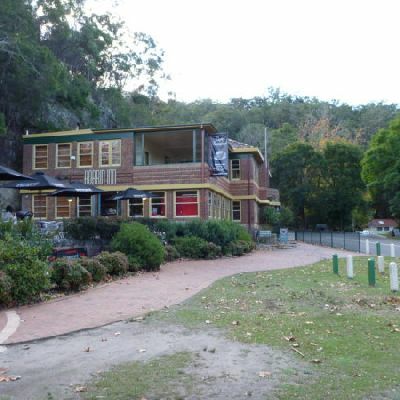 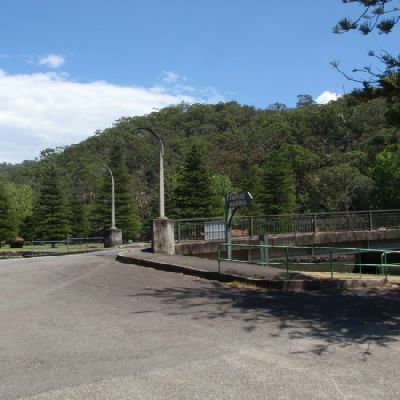 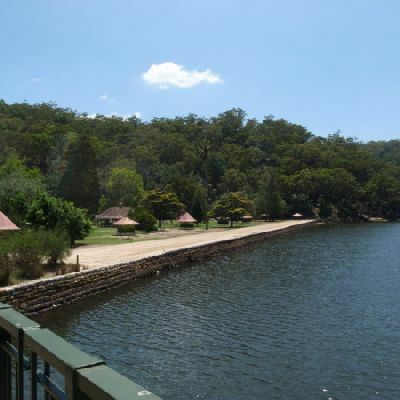 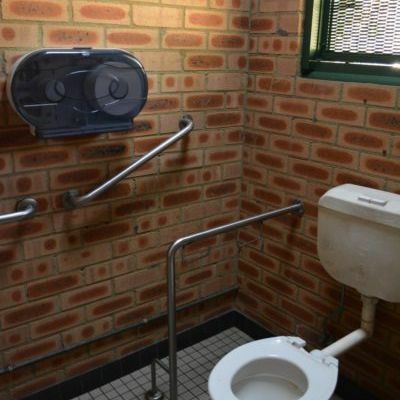 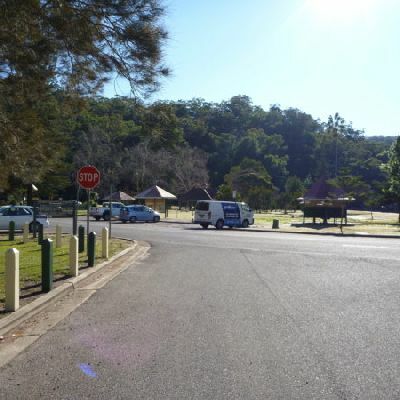 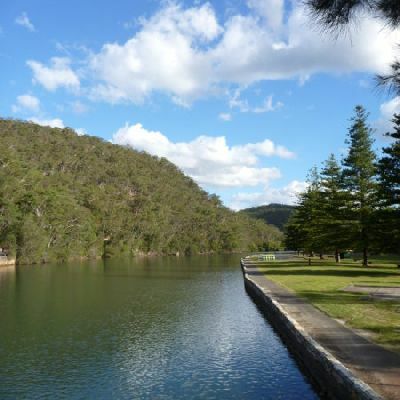 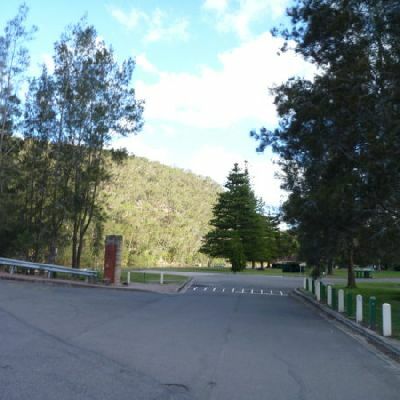 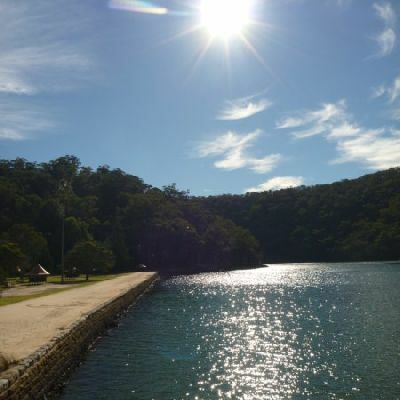 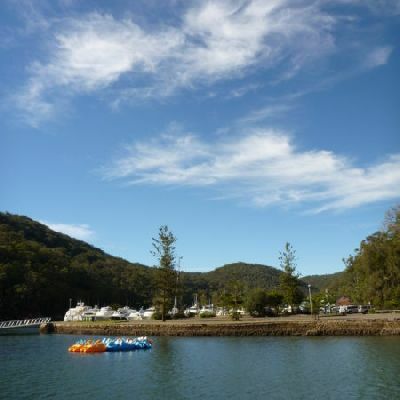 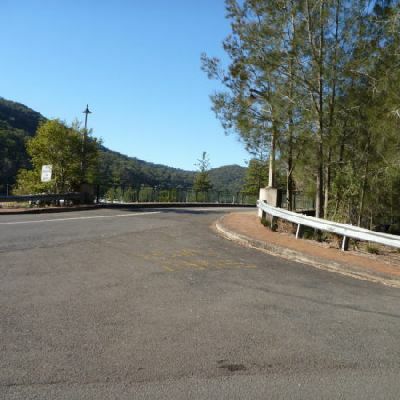 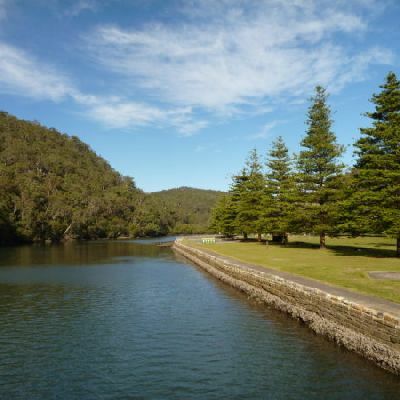 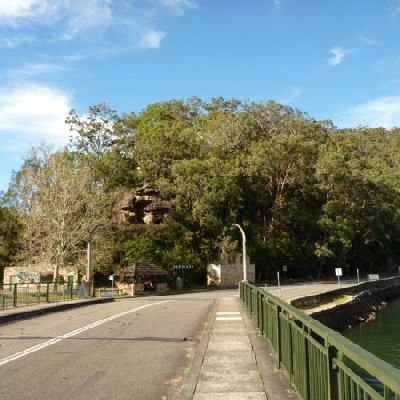 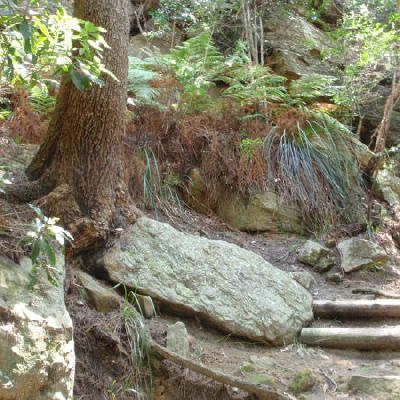 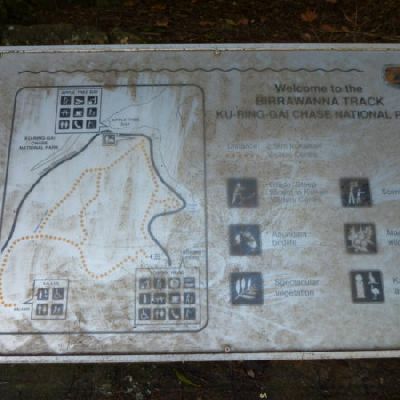 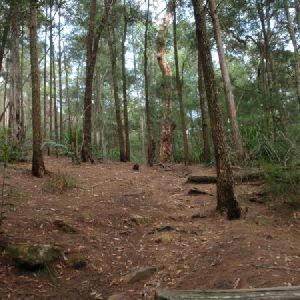 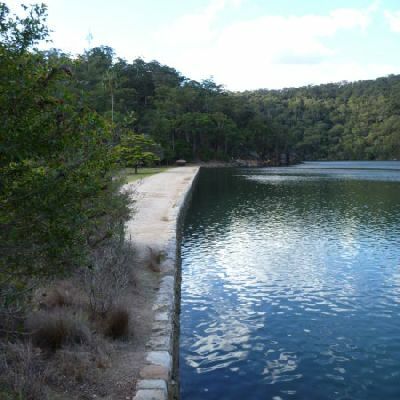 This great circuit walk enjoys a variety of landscapes in Ku-ring-gai Chase National Park. 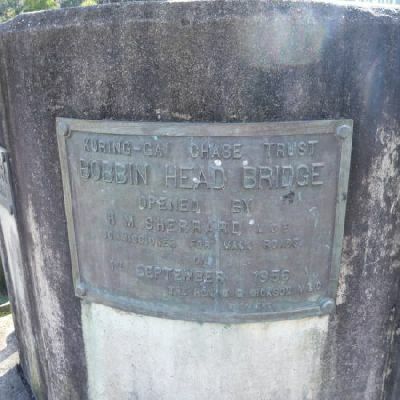 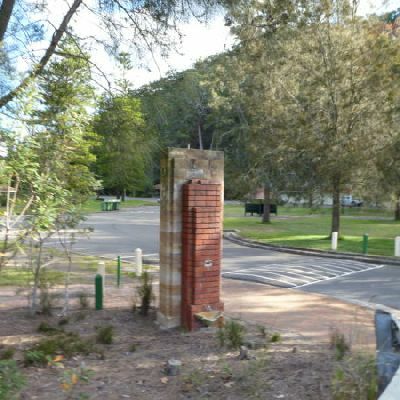 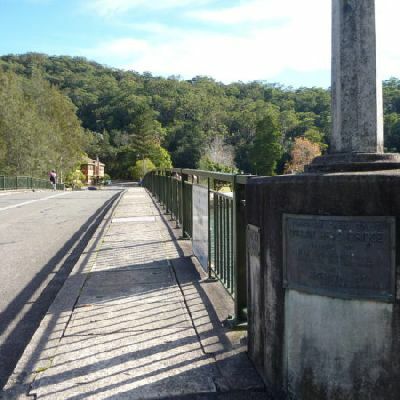 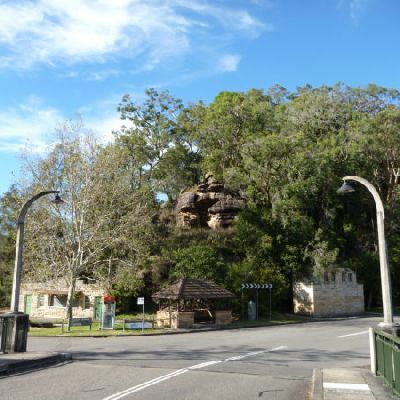 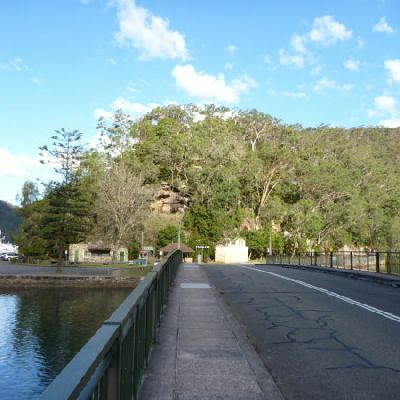 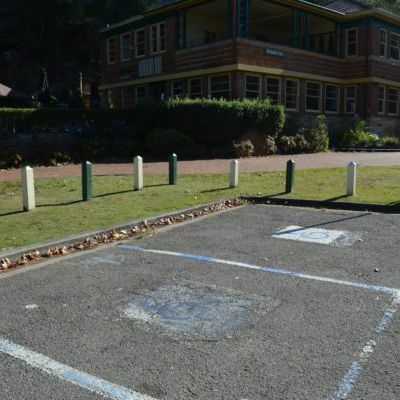 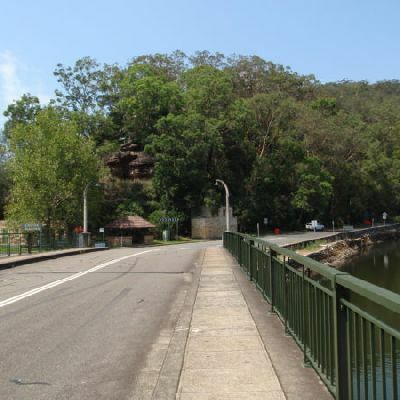 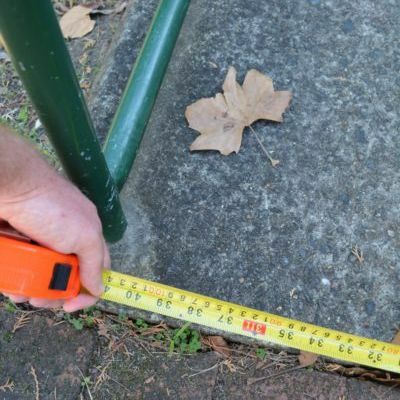 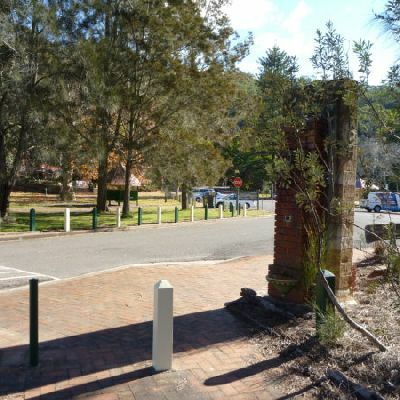 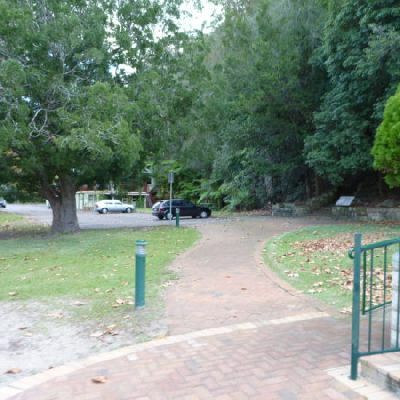 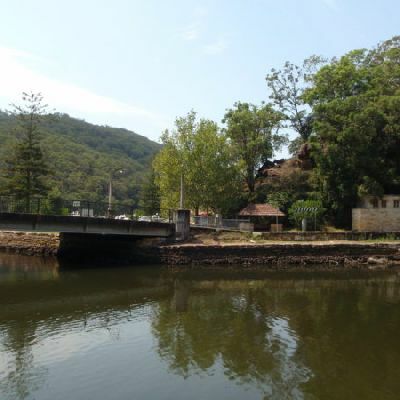 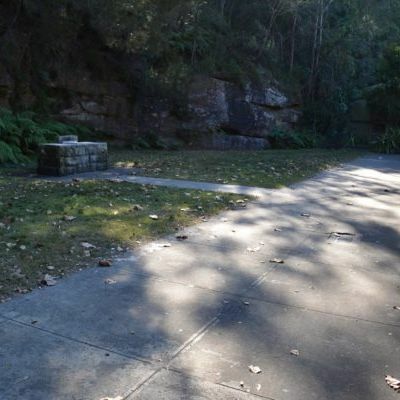 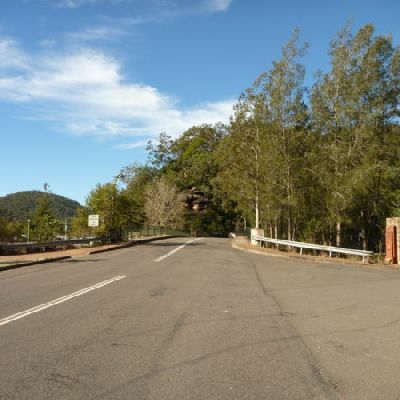 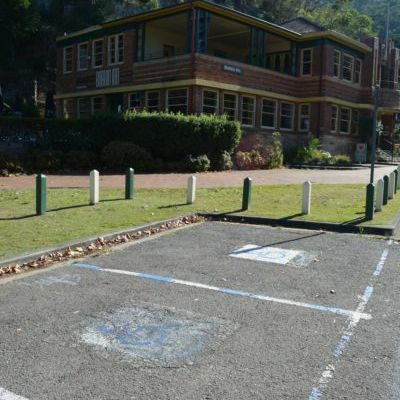 The walk starts at the historic Sphinx war memorial and follows a series of popular walking tracks that loop around Bobbin Head, including historic Aboriginal engravings, temperate rainforest and a lookout. 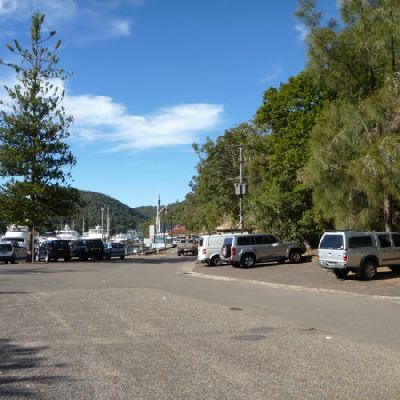 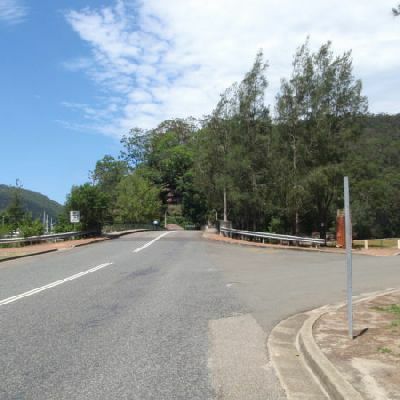 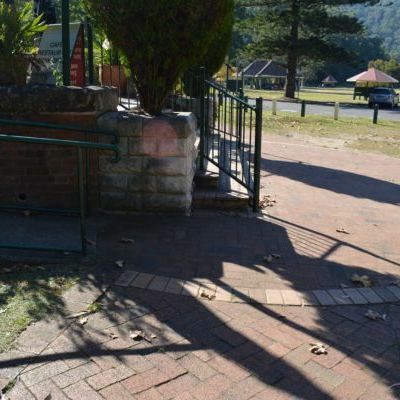 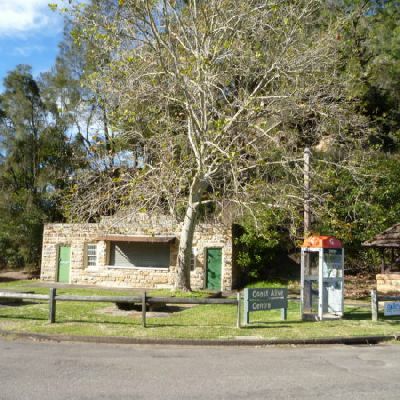 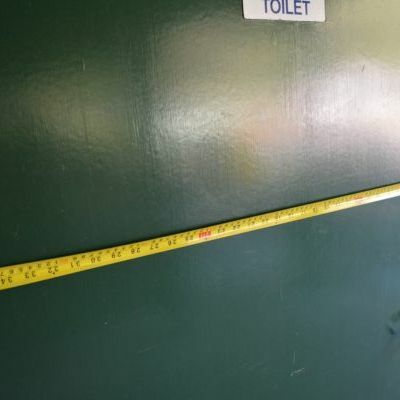 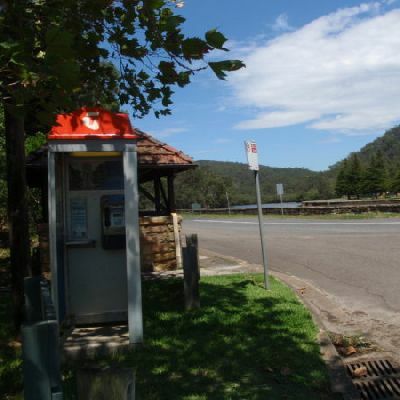 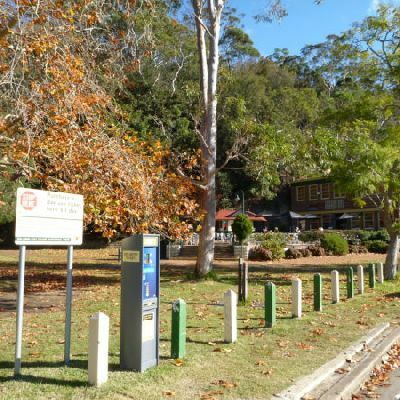 As the track passes through Bobbin Head, it provides a great opportunity to take a break and pick up a snack at the kiosk before continuing on the return leg. 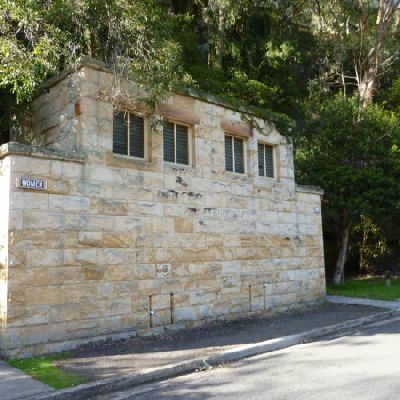 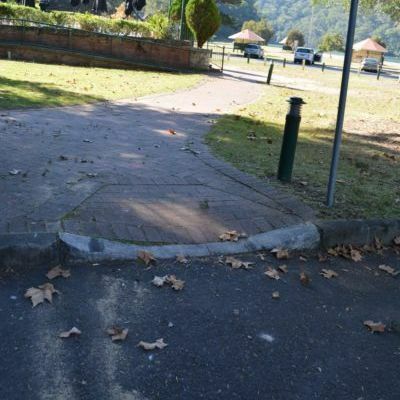 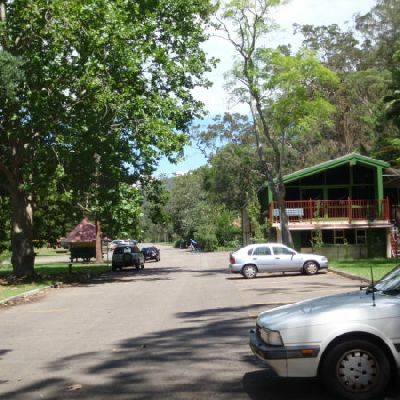 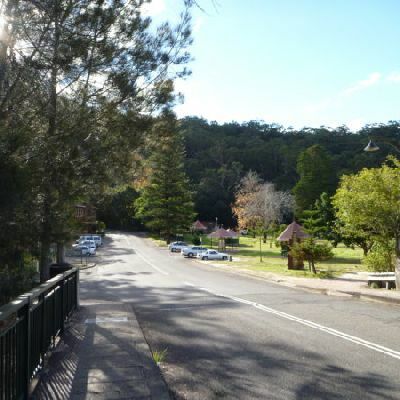 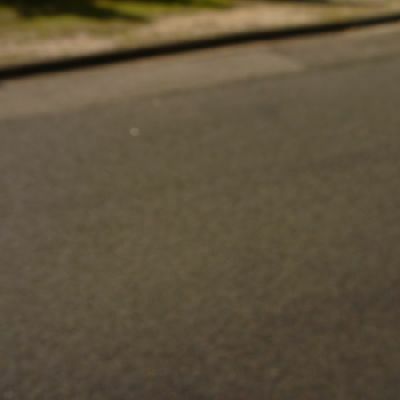 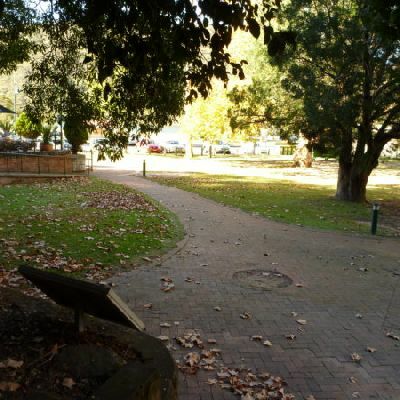 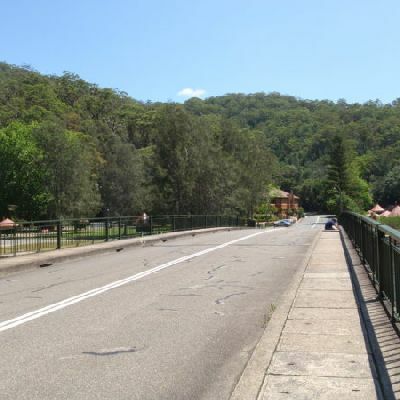 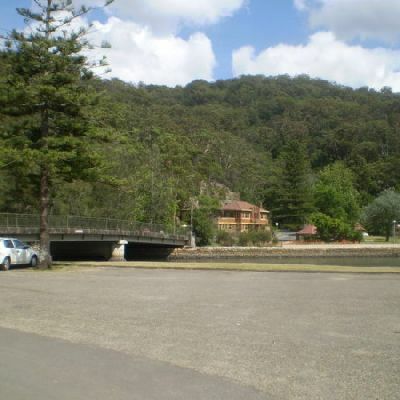 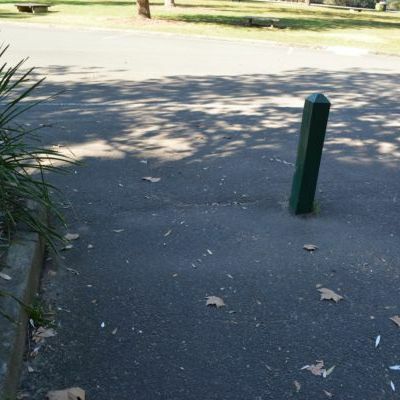 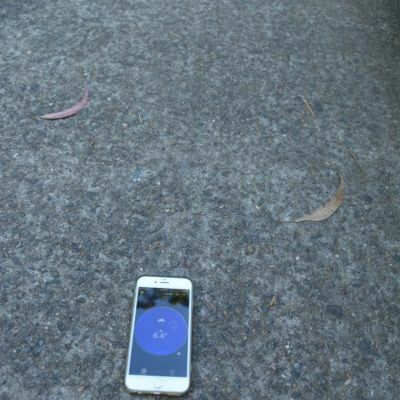 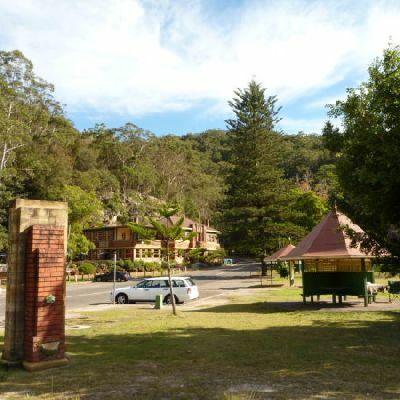 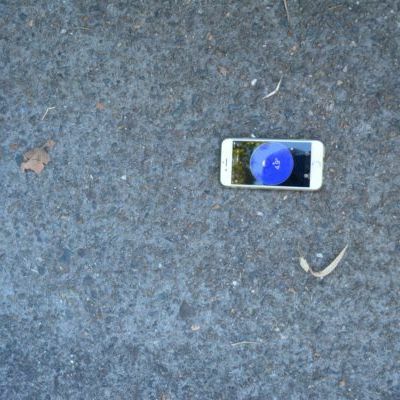 Starting with a walk through the streets of Wahroonga, this walk then heads bush, following the Gibberagong Track to Bobbin Head. 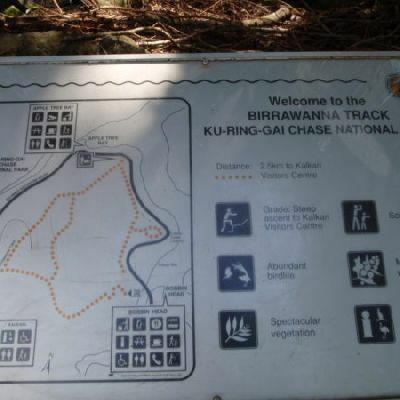 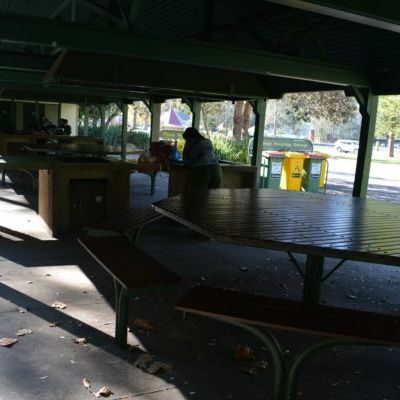 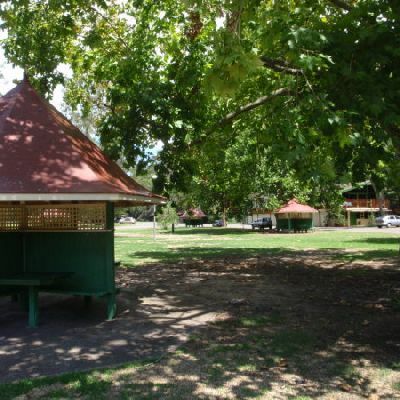 After a picnic or a bite to eat from the kiosk, the walk then heads up the Birrawanna track to lead to Apple Tree Bay. 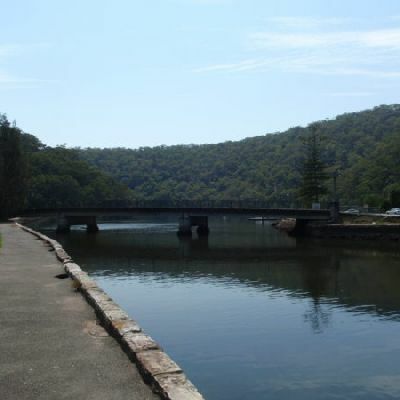 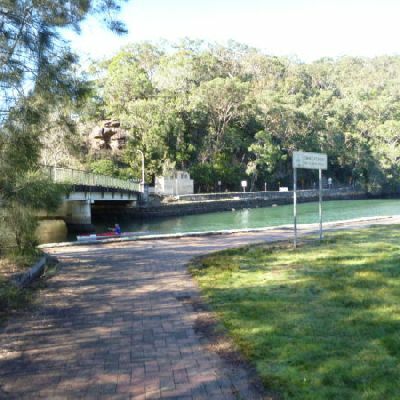 From here the track follows the picturesque Cowan Creek for a while before heading up the ridge to Mt Kuring-gai Station.